Twitter is an incredibly valuable tool for salespeople. 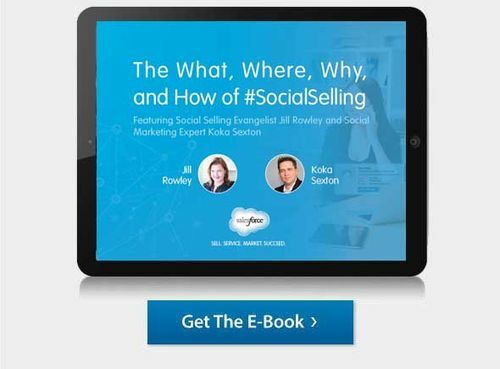 When used strategically, the social platform can help members of a sales team build relationships, grow their pipelines, and establish themselves as thought leaders in a given niche—all of which can help accelerate sales prospecting. And one of the best ways to elevate your presence on Twitter is to participate in Twitter chats. For those not familiar, Twitter chats are live conversations that take place at a scheduled time. Any Twitter user can join in by using a shared hashtag. In many cases, the chat will be hosted by a moderator who will ask participants a series of questions (which may or may not be published in advance) over the course of the chat. Participants are also free to engage in dialogue amongst themselves. 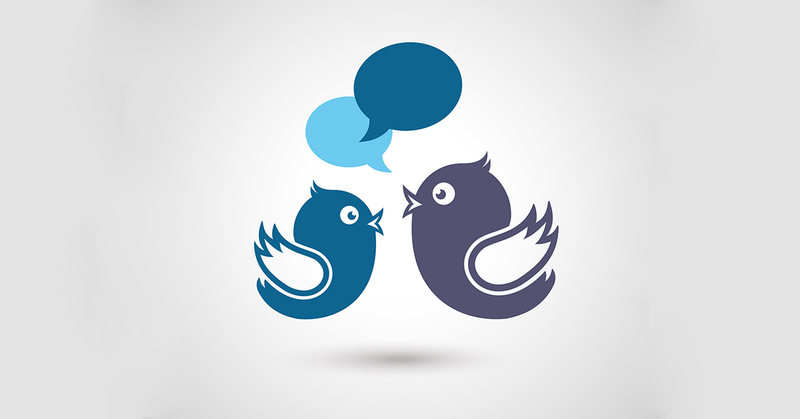 Participating in Twitter chats regularly can help position salespeople as thought leaders, which can ultimately help branding and sales. If you’re a salesperson, the best Twitter chat(s) to participate is one that allows you to demonstrate your expertise, gain new knowledge, and/or expand your network. The following chats are all great options that will enable you to connect with people in your industry and identify potential new prospects. For salespeople in the B2B world, #B2Bchat provides a wealth of information in addition to an active participant group. The weekly Thursday-evening chat covers a breadth of topics including lead generation and using social media for sales purposes, all with an eye toward B2B success. This chat, which is sponsored by Harvard Business Review, won’t always be relevant to salespeople. But it’s worth keeping tabs on the chat’s schedule for the times when it is. The chat occasionally turns its attention to pressing sales topics such as how companies can invest in their sales teams’ social presence, the best ways to interact with prospects on social media, and the merits of cold calling in today’s digital age. We’ve written before about the many ways LinkedIn can enable salespeople’s efforts. The popular LinkedInChat continues this discussion (and others pertaining to LinkedIn best practices) every Tuesday evening. Relevant topics range from optimizing your LinkedIn profile to best practices for networking on the platform. This Europe-based weekly B2B sales chat provides salespeople with a wealth of resources in the form of tools, strategies, and insights that can inform and enhance their sales efforts. Expect coverage of all things sales-related, from online lead generation to influence-building models. This monthly chat investigates a different sales-related topic each session, from the increasing overlap between marketing and sales to the skills all salespeople should possess. Expect plenty of industry leaders and seasoned professionals to chime in. This chat represents the evolution of #SSHour. The original chat focused on leveraging social media to enhance sales and marketing efforts, while the new iteration expands on that coverage. These days, #SbizHour aims to shine a light on social selling and business growth. The topics stay fresh thanks to a revolving door of expert guests and industry leaders, who take turns hosting the chat. Unfortunately, there’s some evidence that the chat may be on the way out—but the hashtag still provides a goldmine for anyone looking to browse through past conversations and ignite new conversations. While this Wednesday morning chat is geared toward digital marketing, you’ll find plenty of overlap with sales strategizing (especially if you’re an analytics-driven salesperson). Topics vary widely from week to week (for example, the chat may focus on productivity strategies one week and targeting tactics the next), but the chats consistently attract industry leaders and provide a great means to expand your network. If you choose to participate in any of these chats, then it’s important to be mindful of Twitter chat etiquette. Prior to the chat, research the topic and jot down a few ideas for thoughts you can share during the chat—this will help ensure you’re able to participate in real time and can make the most out of this networking opportunity. When people engage with your contributions, respond in a friendly and professional manner. And don’t spam other participants with shameless or irrelevant plugs for your business, product, or services. After the chat’s completion, be sure to follow those people with whom you connected. It’s also a good idea to follow the chat’s host. If you’re pursuing any of these folks as possible prospects, make the connection personal by thanking them for their contributions and then continuing the conversation if they seem interested in doing so. Happy tweeting!